For a successful skiing holiday, rent the accommodation to Val Thorens which is situated in the mountains Northern Alps, Savoie. This skiing resort is well known for its beautiful surroundings and breathtaking landscape. Booking to Val Thorens is easy and convenient and can be done either by phone or via our website. Each accommodation shown online is available for rent, just select the date and start date of your holiday at to Val Thorens to find out the cost. Don't hesitate, now is the time to ski ! The residence Les Trois Vallées is situated in the highest part of Val Thorens, Alps, France, opposite the shopping centre of Peclet, the restaurants and the ski lifts office. The residence in Val Thorens, Alps, France offers direct access to the pistes (only 50m away). Resort map: N°10/F2. IMPORTANT: Due to the "Tour de France 2019" and the "Etape du Tour", arrivals and departures will not be possible on Sunday, July 21st and Saturday, July 27th, the road will be closed. On Friday, July 26th, traffic will be possible ONLY before noon. Please, check information from "Info Route" for traffic conditions.. Situated in the resort of Val Thorens, Alps (at an altitude of 2300m), the residence Montana Plein Sud is conveniently located with direct access to the pistes. It was built in the heart of a ski area, in a quiet place with close proximity to the Caron shopping centre, sports centre, services and shops, nursery, ski school, ski equipment shop, minimarket... IMPORTANT: Due to the "Tour de France 2019" and the "Etape du Tour", arrivals and departures will not be possible on Sunday, July 21st and Saturday, July 27th, the road will be closed. On Friday, July 26th, traffic will be possible ONLY before noon. Please, check information from "Info Route" for traffic conditions.. Le Valset residence, situated at the entrance of Val Thorens ski resort, close to shops and facilities, facing South-East and at the foot of the "Goitschell", one of the finest ski slopes in the resort, offers a magnificent view of the mountain peaks. All the apartments are all fully equipped... IMPORTANT: Due to the "Tour de France 2019" and the "Etape du Tour", arrivals and departures will not be possible on Sunday, July 21st and Saturday, July 27th, the road will be closed. On Friday, July 26th, traffic will be possible ONLY before noon. Please, check information from "Info Route" for traffic conditions.. The Residence La Vanoise is in the central Caron area of Val Thorens. There is a direct access to the ski slopes and the Caron shopping centre, the ski school and the nursery are all near by. The building is equipped with a lift. Val Thorens is part of the Three Valleys ski area. IMPORTANT: Due to the "Tour de France 2019" and the "Etape du Tour", arrivals and departures will not be possible on Sunday, July 21st and Saturday, July 27th, the road will be closed. On Friday, July 26th, traffic will be possible ONLY before noon. Please, check information from "Info Route" for traffic conditions.. The residence Altineige is situated at the entrance of the resort, in Les Arolles district next to the bus station of Val Thorens. 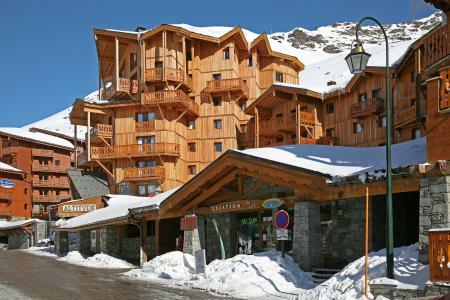 The residence Altineige, Val Thorens, Alps is 200m from the pistes and the ski school. Amenities include shops and the centre of the resort 50m away. IMPORTANT: Due to the "Tour de France 2019" and the "Etape du Tour", arrivals and departures will not be possible on Sunday, July 21st and Saturday, July 27th, the road will be closed. On Friday, July 26th, traffic will be possible ONLY before noon. Please, check information from "Info Route" for traffic conditions..
Chalet Peclet is located in the upper part of the ski resort of Val Thorens, in the Plein Sud area. It is a peaceful area while still being close to shops and restaurants. quiet place. The building is located near the ski slopes and there are amazing views from the apartments. 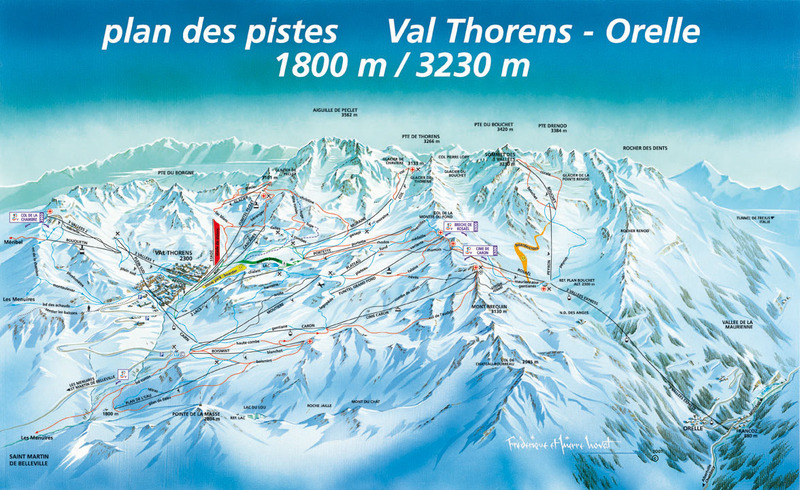 Val Thorens is part of the Three Valleys ski area. IMPORTANT: Due to the "Tour de France 2019" and the "Etape du Tour", arrivals and departures will not be possible on Sunday, July 21st and Saturday, July 27th, the road will be closed. On Friday, July 26th, traffic will be possible ONLY before noon. Please, check information from "Info Route" for traffic conditions.. 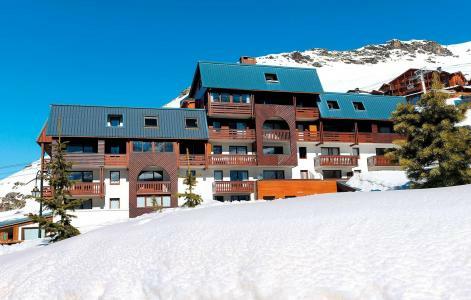 The Residence La Roche Blanche is situated in the centre of Val Thorens, nearby the shops, the sports centre and with a direct access to the ski slopes, which are just 50 m from the residence. It is possible to return to the residence on skis. 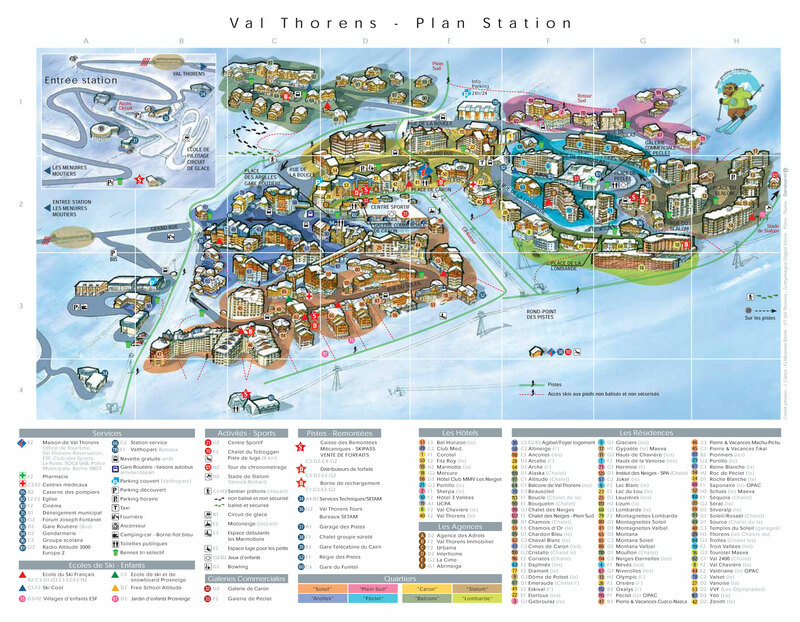 Val Thorens is part of the Three Valleys ski area. IMPORTANT: Due to the "Tour de France 2019" and the "Etape du Tour", arrivals and departures will not be possible on Sunday, July 21st and Saturday, July 27th, the road will be closed. On Friday, July 26th, traffic will be possible ONLY before noon. Please, check information from "Info Route" for traffic conditions.. 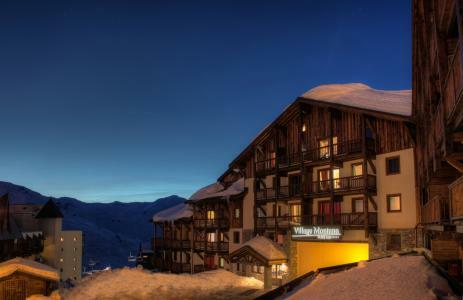 The Hotel Club MMV Les Neiges enjoys an unrivalled location at the ski resort of Val Thorens, perfect for people who enjoy winter sports.It is located at the foot of the slopes of Europe's highest resort, ideal for a holiday right in the heart of the Domaine des 3 Vallées. The Hotel Club Les Neiges has all sorts of great features to enjoy during your skiing holiday in Val Thorens with your family or friends, with an entertainment area with its own bar, as well as a splendid due south-facing terrace, which has fantastic views over the surrounding peaks. The hotel has 52 spacious rooms. Come and recharge those batteries at an altitude of 2,300 metres, with the high quality services provided by this Hotel Club in Val Thorens. All rooms have all the comforts you will need to fully enjoy your après-ski and relax after all that exercise. IMPORTANT: Due to the "Tour de France 2019" and the "Etape du Tour", arrivals and departures will not be possible on Sunday, July 21st and Saturday, July 27th, the road will be closed. On Friday, July 26th, traffic will be possible ONLY before noon. Please, check information from "Info Route" for traffic conditions..